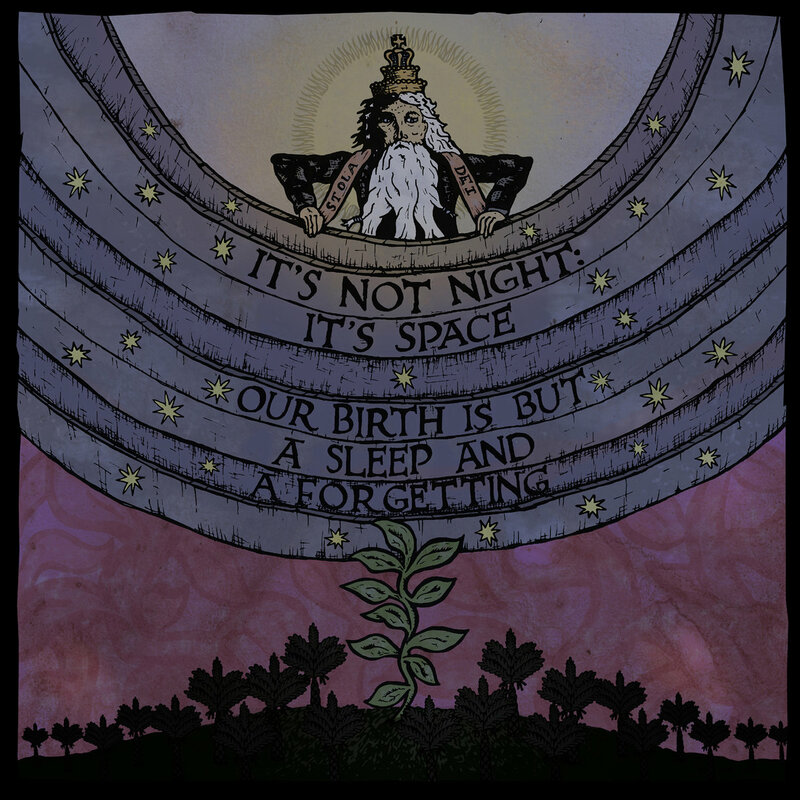 New York three piece It’s Not Night: It’s Space are set to release their new album, “Our Birth is But A Sleep and A Forgetting” on June 24th. 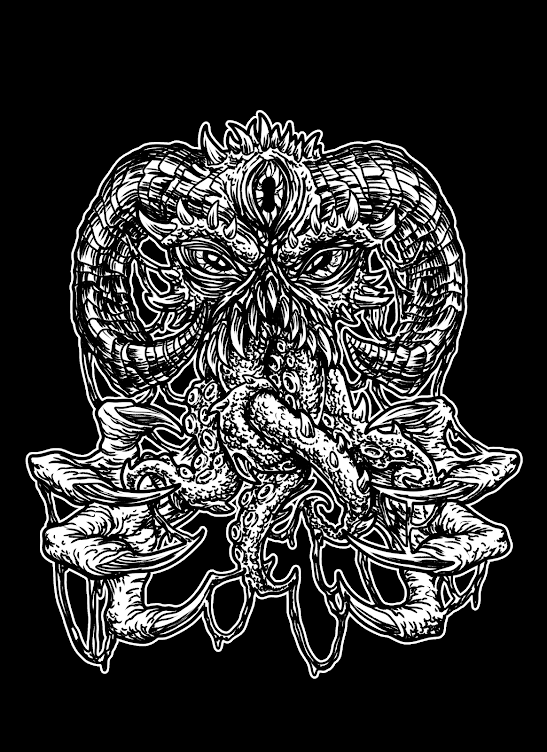 We here at The Sludgelord have been offered to host a stream of this album, which if you dig in and press play, you’ll understand that we couldn’t turn this offer down. So roll up and get comfy, we’re going for a ride. The mélange of audio samples that greet the listener are of speeches that range in theme from politics, drugs, and philosophy. Slow, sparse strums on a steel string acoustic guitar weave in and out of a deep electric drone, and as the song builds, it also fades into the next chapter of “Our Birth is But A Sleep and A Forgetting.” You better buckle up, because this album needs to be taken in with one deep drag, because there’s little time between the cuts to catch your breath. The jam starts with a zany guitar riff in “The Beard of Macroprosopus” that twists blindly through a mass of background drone and a hard hitting rhythm that, though slow, lacks nothing in heft. It’s abundantly clear that It’s Not Night: It’s Space have taken flight. No vocals, just a lot of stoned, smoky repetition that is equally spiritual as it is absolutely mind blowing. The story goes that the band wrote these songs “in moldy warehouses, grimy basements, and dusty backrooms of pizza shops,” and I must admit, you hear those settings in these seven songs. For example, the dark, effect laden riffs in “Across The Luster of the Desert into the Polychrome Hills” conjure up hallucinations of dark, dank atmospheres that are as comfortable as they are frightening. The steady groove in “Starry Wisdom” is the sound of a band finding sweet release in making an absolute raucous in a basement tucked far away from society. After all, this might be the only place in the city where a band can make this much noise without having the fuzz being called on them. 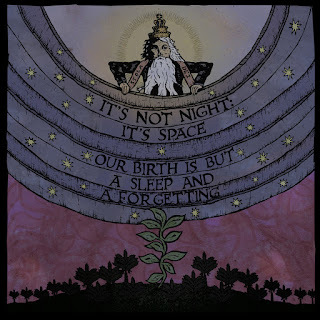 Made up of guitarist Kevin Halcott, drummer Michael Lutomski and bassist Tommy Guerroro, these boys from the East Coast have gone and done something that many stoner rock bands can only dream of; It’s Not Night: It’s Space present themselves as an entity. These three guys have locked in and met each other on a musical plane far removed from the mindless riffing that’s flooding our little niche. The guys in It’s Not Night: It’s Space communicate with each other through their jams. Though the cuts on this album may be songs that the band wrote before hitting the studio, it’s audible in the recording that the band caught a moment instead of a performance. If you’re into that kind of thing, you’ll definitely be into “Our Birth is But A Sleep and A Forgetting.” Enjoy!